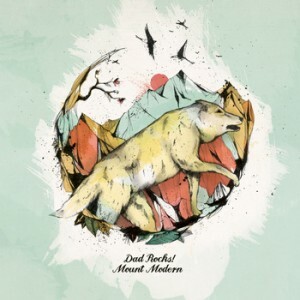 ALBUM REVIEW: “Mount Modern” by Dad Rocks! Dad Rocks! is the solo project of Icelandic musician, Snaevar Njall Albertsson. Mount Modern is his first full-length release. When it does work, however, it creates a very memorable and unique sound, blending elements of traditional folk, low-fi, and pop sounds. “Take Care” is both musically and lyrically thought-provoking and remarkable and “Livestock” features a guitar-driven Americana success with a statement on the need for his disconnect from electronics and a connection to nature. Download “Mount Modern” and “Weapons” here.